Our partners are "Tour Operators" and thus get rates lower from the big national brands that you can get by contacting them directly. 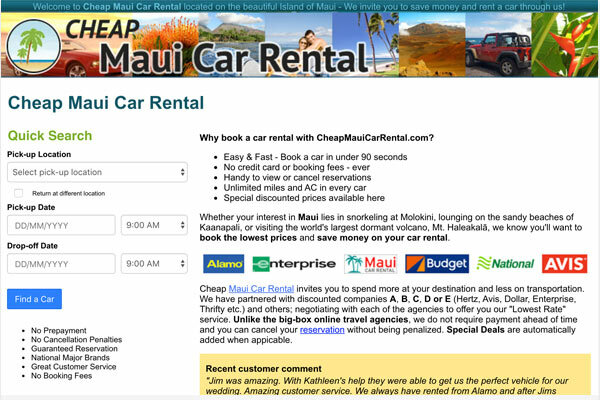 Experience the island of Maui in the car of your choice. Companies found listed here in our guide have current model sedans, convertibles, 4x4 Jeeps, SUV’s and minivans with A/C, automatic transmissions and free unlimited miles. Easy & Fast - Book a car in under 90 seconds. No booking fees. Handy to view or cancel reservations. Unlimited miles and AC in every car. Special discounted prices available. They have partnered with discounted companies such as (Hertz, Avis, Dollar, Enterprise, Thrifty etc.) and others; negotiating with each of the agencies to offer you their "Lowest Rate" service. 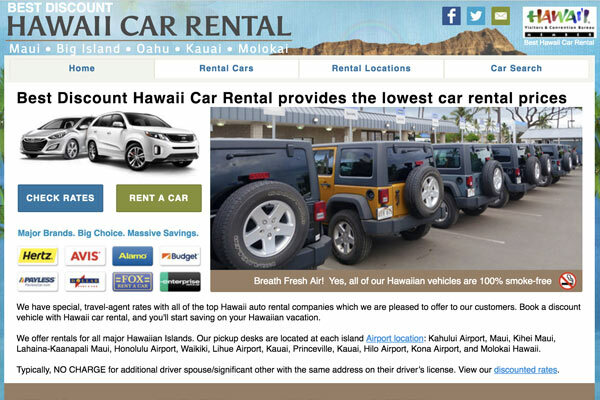 They have special, travel-agent rates with all of the top Hawaii auto rental companies which they are pleased to offer to our customers. 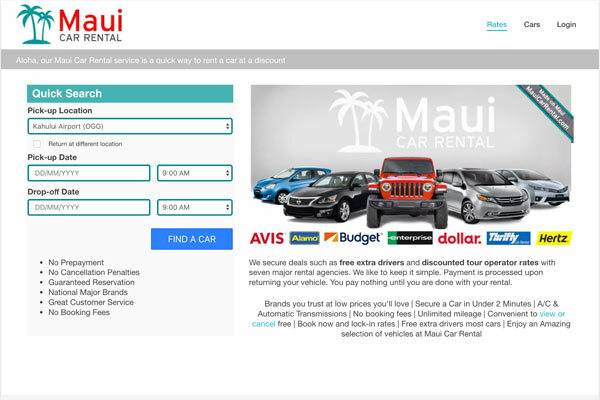 Book a discount Maui car with Hawaii car rental, and you'll start saving today. They offer rentals for all major Hawaiian Islands. Their pickup lots are found at: Kahului Airport, Maui, Kihei Maui, Lahaina-Kaanapali Maui.